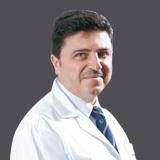 Dr Shwan is a fully trained British Consultant ENT and Head and Neck Surgeon who has completed his specialty training with the Certificate of Completion of Training (CCT) in Otolaryngology in the UK (2017). 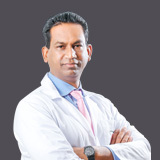 He has completed his higher medical qualifications including FRCS (ORL-HNS) in 2016, MRCS (2009) and DO-HNS in 2009. He has also obtained his Master degree (MCh) in Otolaryngology, Edge Hill University, the UK in 2011. He obtained his primary medical degree (MBChB) in Salahaddin University, Iraq. 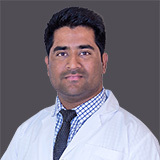 Dr Shwan’s work experience in ENT spans over 10 years in the United Kingdom. He has worked in several prominent Hospitals namely Forth Valley Hospital, Crosshouse Hospital, Southern General Hospital, Queen Elizabeth Hospital, Gartnavel General and Yorkhill Hospital. 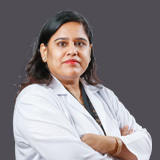 Myringoplasty, Tympanomastoidectomy for Cholesteatoma, Endoscopic ear surgery, Ossiculoplasties, Grommet insertions, Pinnaplasty (Bat ear correction), Bone-anchored hearing aid surgery and Cochlear implant surgery. Adenotonsillectomy, Microlaryngoscopy, Rigid oesophagoscopy and biopsies; Pharyngeal pouch stapling, Parotidectomy, Botox injection for Frey’s syndrome, Submandibular gland excision, Branchial cyst excision, Thyroglossal cyst excision and Resection of congenital lesions, Thyroidectomy, Laryngectomy and neck dissection. 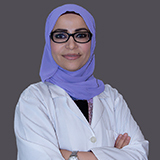 Dr Shwan attended several national and international courses. He has numerous presentations and he has over 20 publications and research projects published in international journals. 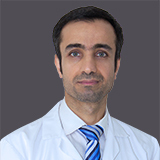 Dr Shwan is a member of several international associations including Member of Royal College of Surgeons of Edinburgh, UK, Member of Royal College of Physicians & Surgeons of Glasgow, UK and Member of ENT Scotland society, UK. Dr Shwan has teaching experience as an Honorary Clinical Tutor, University of Dundee/ Medical School teaching undergraduate students, UK. Dr Shwan speaks English, Arabic and Kurdish.